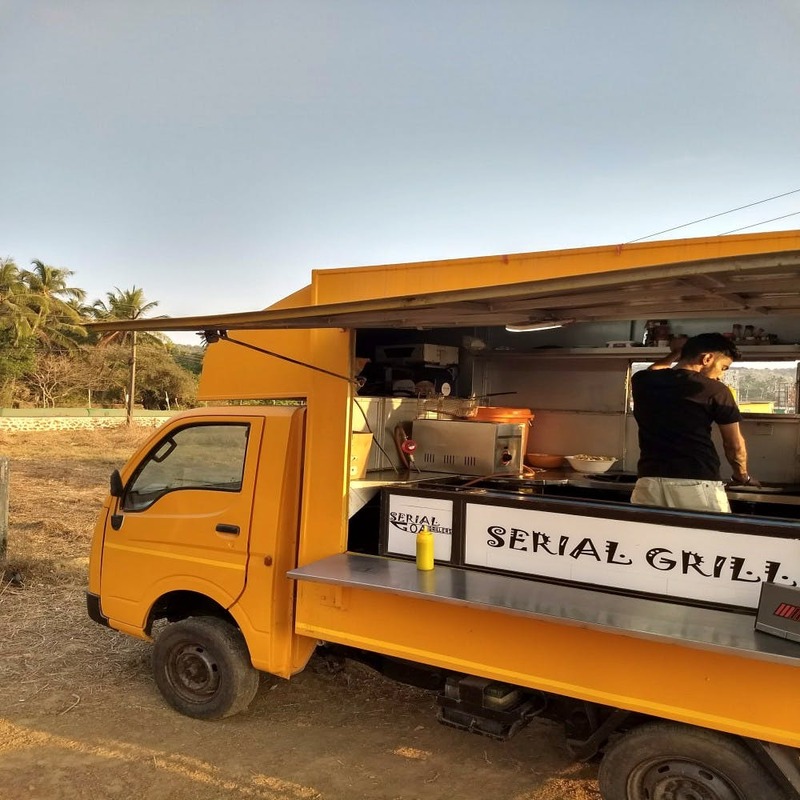 Serial Grillers are an American-style food truck that’s now parked 6 days of the week in Anjuna. Specialising in all things grilled, they’re whipping up some of the best meat burgers Goa’s seen. Oh hell, they’re even doing a Philly Cheesesteak. After starting the season and doing the rounds at events (they recently drove to Sunburn), they’re currently parked opposite La Bella restaurant. Luiton, a burger maniac and games fanatic, runs Serial Grillers from about 7pm to 10pm. The beef patties and veggies grill and simmer under his watchful eye and he makes sure you’re stuffed by the time you leave. We’re people of simple choices and nothing makes us happier than a menu that doesn’t confuse the hell out of us. They do an epic Agent 47 burger with the choice of a chicken or a beef patty, wraps (both veg and non veg) and our favourite, monster burger that comes loaded with cheese, 3 meat patties and an egg. We also tried the za’atar roasted veggie wrap that came as a pleasant surprise from folks who’ve sworn forever love to burgers. Luiton runs a bakery by the day and works with Artjuna but come evening, he’s on a single-minded mission to serve the yummiest chicken wings, burgers and Slurp Juice. Another friend of Luiton's, Mikhil, is an equal party to this. Such a pity we couldn’t try the Chilli Hot Dog but, there’s always the next time. I mean, that monster burger had us bursting at the seams, so either be prepared to get a partner to finish it off or go ravenously hungry. P.S. The chips on the side are delish! We’d have loved a cheesy veggie burger on the menu or more green options in general. The truck is parked on the road to Lilliput and is marked on Google Maps. Luiton tells us that they might change location but we’ll keep you informed.